NEW YORK -- Toyota Motor Corp. President Akio Toyoda is banking on an overhauled r&d strategy to kick the company his grandfather founded into growth mode after four years of crises. The strategy will help boost Toyota's global sales beyond 10 million units a year, Toyoda told Automotive News Europe sister publication Automotive News. In 2007, Volkswagen Group CEO Martin Winterkorn set a similar goal for the group -- 10 million sales by 2018. "No company in this industry has ever exceeded 10 million units, but we would like to achieve that level," Toyoda said before the April 19 launch party of the global marketing campaign for Lexus. "And the means that we can use" to get there, he said, "is TNGA." TNGA stands for Toyota New Global Architecture, a new approach that focuses on simultaneous development of multiple models and massive use of common modular components. The shift in the company's approach to product development represents the biggest operating change of Toyoda's tenure, which so far has been hobbled by the global financial crisis, the company's worldwide recall fiasco, the 2011 earthquake in Japan and the yen's soaring exchange rate. "If you compare it to soccer, it's like changing the field formation," Toyoda said. "As the head coach, I have changed us from a defensive formation to an offensive one." Toyota unveiled the product-development strategy in broad terms last year and filled in details at a briefing late last month. Executives said that the first cars built using the approach will debut in 2015. The approach will be applied first to three front-wheel-drive vehicle platforms that account for about half of the company's global production volume. Toyota has not identified the nameplates, but Japan's Nikkei business daily said the next-generation Prius is among them. The goal is to cut costs and improve the appeal of the vehicles through streamlined engineering. Executive Vice President Mitsuhisa Kato, the company's global r&d chief, said at the time that the modular strategy should increase product-development efficiency by 20 to 30 percent. The savings in time and money will be plowed back into new technologies, better manufacturing processes, slicker designs and more attention to detail and quality, he said. In a major change, Toyota also will use more components made to global standards instead of proprietary Toyota specifications. This should aid worldwide procurement from big global suppliers and reduce costs. The eventual target is to commonize about 70 to 80 percent of the parts in the various Toyota vehicles that share a platform, Kato said. Initially, cars developed under the new approach will share 20 to 30 percent of their parts. "Commonization is not new. But we are trying to push it to a higher level," Kato said at the briefing. To maximize efficiencies, product developers will first group future vehicles by launch timing. They will then be engineered simultaneously to eke out commonalities. Before, planning was done model by model with little thought of the big picture. Toyoda reorganized the company last month to speed the r&d changes. The company was split into four parts. One deals with Lexus. Another develops Toyota-brand vehicles for mature markets such as the United States and Japan. A third develops Toyota vehicles for emerging markets. The fourth, called the Unit Center, conducts r&d on core shared technologies, such as engines and transmissions. "The reorganization we achieved quite recently of TNGA and of the Unit Center represents our intention to develop vehicles for the next 20 to 30 years with engines at the core," Toyoda said. To reinforce the drive, cash-rich Toyota last month inaugurated new r&d facilities at its headquarters in Toyota City. Chief among them is a 12-story powertrain development and production engineering building. With a total floor space of 1 million square feet, it allows stronger collaboration between powertrain, prototyping and production engineers by housing them all in one structure. Another is a new aerodynamics laboratory and wind tunnel with a maximum air speed of 155 mph (about 250kph). It is the first major upgrade to Toyota's aerodynamics lab since 1969. One improvement is the use of a moving belt under the cars in the wind tunnel. That better simulates airflow around a moving vehicle than a car sitting on a stationary platform. The new approach puts the company on solid footing to achieve sales beyond 10 million, said Toyoda, who rarely talks numbers in public. He didn't give a time frame for achieving that target. And he did not say whether the number was for just Toyota, Lexus and Scion or whether it included affiliated brands such as Hino trucks and Daihatsu. No automaker has hit the 10 million milestone, but Toyota targeted that level in 2008 when then-President Katsuaki Watanabe predicted sales of 10.4 million for the following year, including sales by Hino and Daihatsu. By August 2008, however, Watanabe had slashed that 2009 sales forecast to 9.7 million as the financial crisis loomed. In fact, Toyota's global group sales tanked 13 percent to 7.81 million in 2009. Toyota is again within striking distance of 10 million. Its group sales forecast for 2013, including Hino and Daihatsu, is 9.96 million vehicles. For the Toyota, Lexus and Scion brands alone, the target is 8.95 million. Toyoda stepped into the role of CEO in 2009, just as the company was posting its first loss in seven decades. His mantra ever since: Make the company less susceptible to market downturns, fluctuating exchange rates and other external shocks. Toyota executives are counting on the changes in product development to deliver stable growth in an era in which rivals such as VW Group and Nissan Motor Co. are rolling out their own modular product-development plans. "What we aim for most is sustainable growth," Toyoda, 56, said. "Once the president says, 'We have to make ever-better cars with limited resources,' we have to find a way to do that." Toyoda sees it as a natural evolution in making better cars. 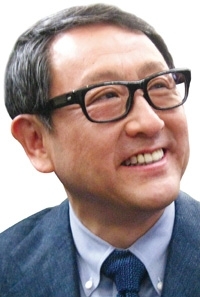 "Our next car is always our best car," Toyoda said. "Because once you say, 'This is the greatest car we have ever built,' that means your growth will stop. You must aspire to make it better."